Will your love make it for the long haul? Health. We all think about it, especially as we age. We visit the doctor, we eat right (at least, sometimes), we Google our symptoms and then fret when the results inevitably tell us we’re dying. But when we think about health, we do so only as it relates to our bodies. We often forget to think about health in terms of romantic relationships. Just as physical health prolongs life, tending to the health of a relationship also extends a union. To put it simply, a relationship that is unhealthy won’t last, or, at least, it shouldn’t last! But what is a healthy relationship, exactly? 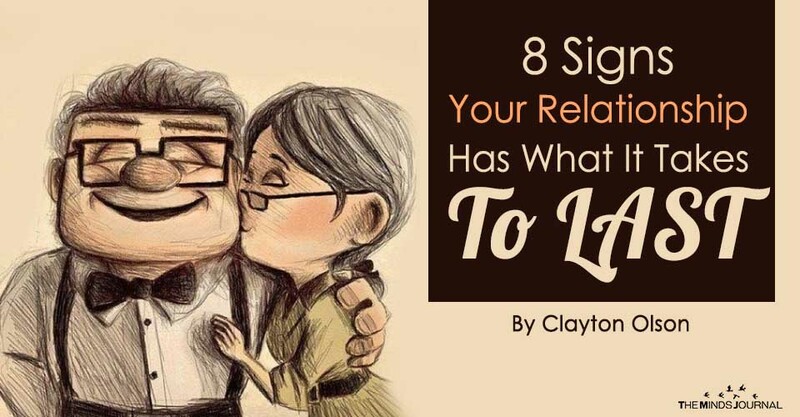 How do we know if our relationship can survive the long haul? Or, whether it’s so sick that we should consider putting it out to pasture? How do you know if you’re with the wrong guy or with someone who’s your future’s cornerstone? There’s no medical test to rely on, no temperature that gages whether a relationship is hot or has cooled down to hypothermic levels. 1. Your boyfriend believes in you and you believe in him. He talks to that part of you that you forget exists when you doubt yourself. He reminds you who you are. He has a clear vision of your potential, and actively nurtures it into existence. Likewise, you don’t talk about him behind his back. You don’t complain to your girlfriends about him in a way you wouldn’t say to his face. You don’t post his shortcomings on social media. You believe he is a whole and complete person who solves his own problems and stands on his own two feet, even if you aren’t there to support him. You trust him to stay true to his word. You’re not constantly anticipating him falling through on his promises. You don’t anticipate or compensate with different actions for his lack of perceived responsibility. And if he does break a promise, you don’t hold it over his head (and he’s not doing that to you). You don’t hack into his social media accounts or check his text messages. Regardless of who he was, how many women he’s been with, or his upbringing — you don’t hold his past against him. You naturally allow him to reinvent himself and grow with you. You promise to never think you know everything him and instead swear to approach each day with the curiosity of who he’s becoming. Your relationship is the total package (forgiveness and letting go of the past are NOT sold separately). You appreciate the little things he does for you. You’re not hoping things will get better. You’re not waiting for the new job, for the salary bump, for the move to the different city, or for the next trip to improve things. You’re grateful for what you have right now with your partner. You’re happy in the moment and not playing the dangerous game of “if only” (“If only he starts making more money,” or “if only he didn’t work so much.”) You’re not rushing things either. You’re focused on the journey, not the destination. Marriage, a baby, an anniversary — you’re content with them happening naturally. There aren’t any ‘off-limit’ topics that force either of you into passive-aggressive behavior and irrational blow ups. You’re straight with one another. You wear your heart on your sleeve and so does he. You don’t struggle for power or control in the relationship; it’s not a union composed of games. In fact, you relinquish power because you know that gets in the way of love. You know there will be hard times — you’re not expecting a relationship merely made up of sessions singing “Kumbaya,” but you’re comfortable communicating with each other in a way that doesn’t cause the other person to feel attacked, criticized or blamed.